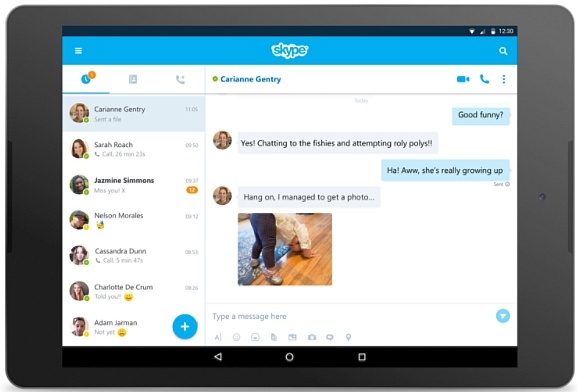 Earlier this week, Skype for Android reached an impressive milestone. Its Google Play store page shows that this app has been downloaded over a billion times so far, also holding a 4.1/5 rating after more than 10 million user reviews. Although Windows has been available for a much longer period, Skype's popularity shows that mobile devices now rule the consumer space. Windows 10 is still far from the one billion active devices target that Microsoft initially planned to hit by the end of 2018, but Skype is already there. What makes this achievement even more impressive is the fact that, back in June 2012, Skype for Android had around 70 million downloads under the belt. The official blog post about this week's achievement was published on October 25 and starts with a sentence that says it all: "Today, Skype reached one billion downloads on the Google Play Store." Skype for Android received its latest update on October 24, and over 6 million of its 10,142,364 user ratings it got in the Google Play store so far rate it as an app that deserves the maximum score of 5 stars. The current Google Play rating that Skype for Android has is 4.1, which is better than the 3.7 out of 5 score achieved by Skype after receiving 1,750 user ratings in the Microsoft Store (these ratings were awarded to the Windows versions of the app, of course). The conclusion can be only one - Microsoft is doing a great job with Skype for Android, but the teams in charge of the versions for Windows should pay more attention to the users' feedback and work harder on ironing out the bugs. When I say this, I mostly have in mind the many problems of the UWP app, such as random crashes and audio bugs.